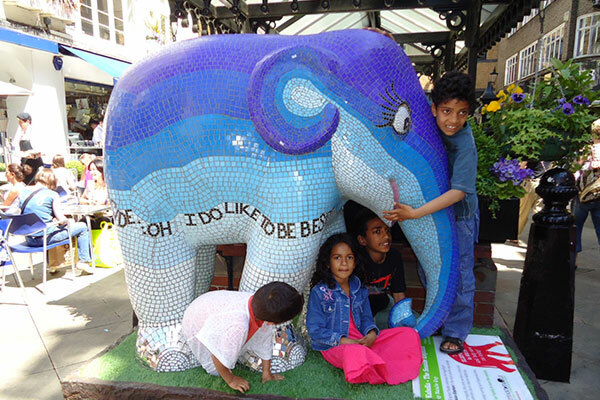 Kubella The Seaside elephant was a community mosaic project, with over 200 participants sticking on tiles – from all ages, backgrounds, groups / school children and care homes in the Kube gallery. The ditty ‘I do like to be beside the seaside…’ flowed around her body amongst the waves of the sea and mirrored feet reflected the wash sparkling in the sunshine. ‘Kubella’ was part of The London Elephant Parade 2010, situated behind Selfridges before being sold at auction for £25,000 for the conservation charity, Elephant Family. 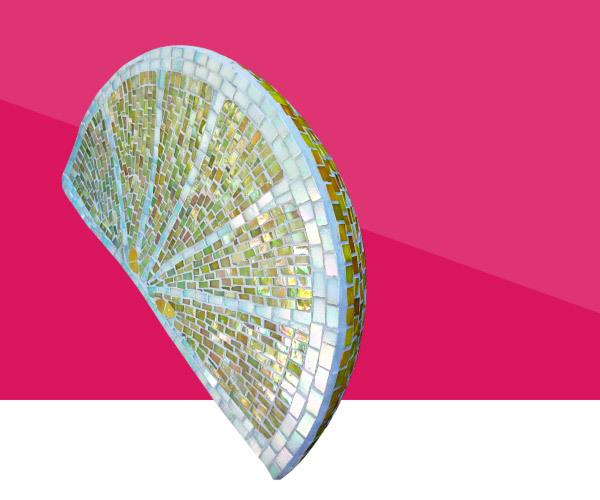 Recently, I was commissioned to mosaic another elephant inspired by Kubella for a private client with personal wording, ‘meaningful additions’ and hidden designs representing family as a surprise birthday present. It was well received and Elephant Family also received a large donation. 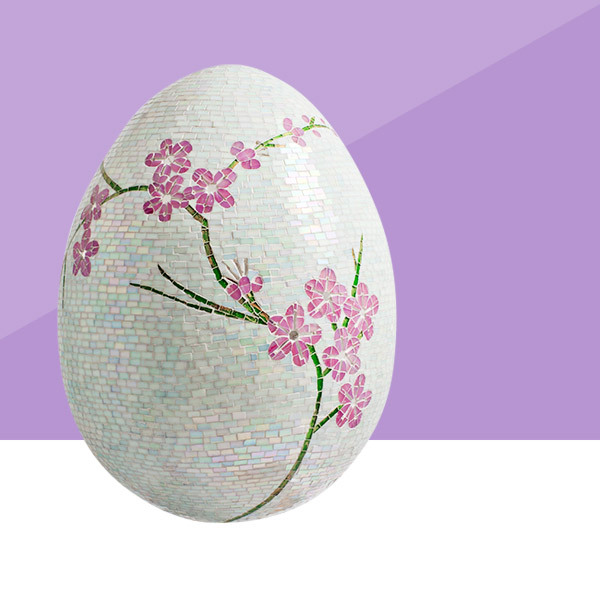 ‘Natalie is a mosaic magician! 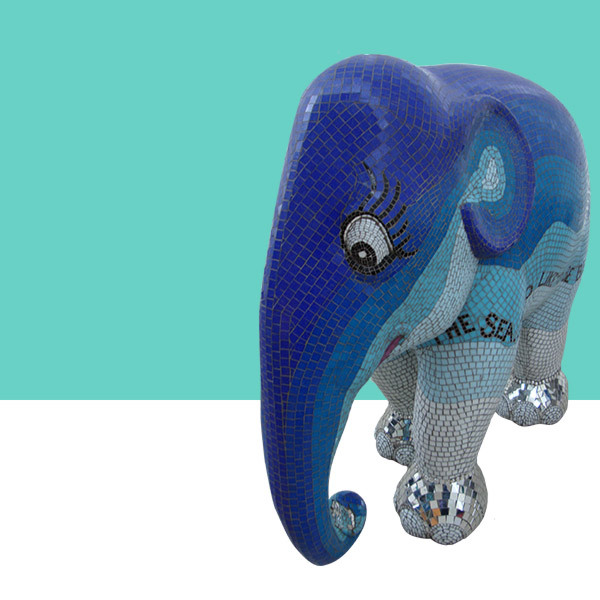 I fell in love with Kubella – The Seaside Elephant when she was part of the London Elephant Parade, raising money for conservation charity, Elephant Family back in 2010. My husband tried to bid for her but unfortunately the corporate bidders were too strong and he couldn’t afford her… unbeknown to him I contacted Natalie to see if she did private commissions and she sent a lovely reply but sadly I knew that our budget couldn’t stretch that far and I never mentioned it to my husband. Five years later he hatched a fantastic plan for my 50th birthday to invite all my friends to contribute towards a surprise mystery present to be revealed at my party. All they were told was that it had a charitable connection and I would love it. 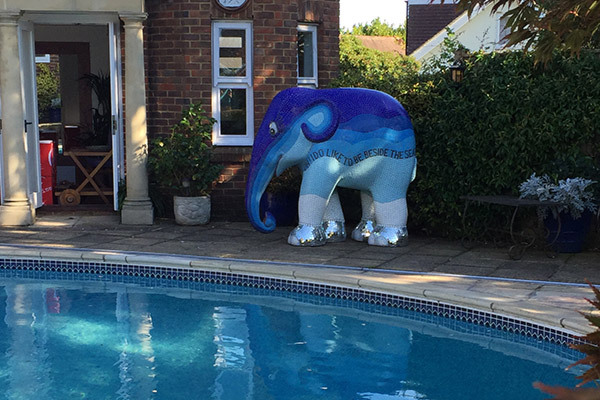 Amazingly 180 people donated and the beautiful Kubella – The Seaside Party Elephant was revealed. Natalie was wonderful to work with and her enthusiasm bubbles over, responding promptly to communications, full of ideas but always ready to listen, working efficiently to a time deadline and providing constant reassurances along the way. Her work is meticulous and inspired and Kubella is perfect from trunk to tail – her mirrored feet and eyes twinkle in the sunlight and I particularly love the personalisation. She has ‘I do like to be beside the seaside’ on one side and ‘A little party never hurt nobody’ (a theme from my Gatsby party) on the other as well as other hidden inscriptions which make her so special.